Having a dream about the Bible can leave you in a state of disarray, whether you’re a Christian or not. You will wake up wondering and trying to process the meaning behind the Biblical dream, and what the dream may be trying to say to you. We’re going to dive deep into the world of Bible dream interpretation so you may have a better understanding of what your dream means. Is God Trying to Speak to You? This is oftentimes one of the first questions to arise when someone has a dream about a Bible, or anything that has to do with God for that matter. The real answer to this is simply, yes. God is constantly speaking to us in our dreams, whether it’s a dream involving anything Biblical or not. You can tell if God is trying to speak to you about something in particular by completely dissecting your dream from start to finish and understanding what has taken place and what steps are to follow. 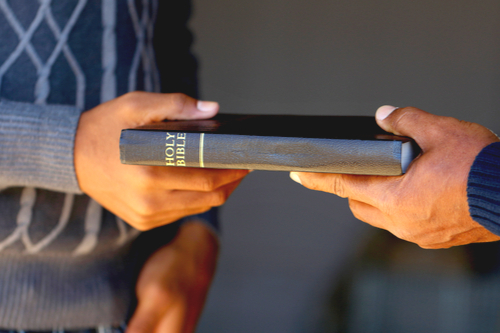 If you have a dream that you own a Bible, or that a Bible has been given or sold to you, this has great meaning- especially true if you do not have a Bible in real life. If this is the dream you had, you can rest assured knowing it is a good thing. The Bible is simply representing all of your inner thoughts. These thoughts include thoughts and feeling you may have towards yourself, the thoughts you have on others, and even the longing to find a fulfillment in your heart- a missing piece, which may be God. The good news is that having a dream like this causes you to search through your inner thoughts, which leads to thoughts finally coming together in the end. Let’s say you’re strolling along in your dream, and you come across a Bible. It may not be a mint condition, but it is in the middle of nowhere and you feel beyond shocked and excited to find a Bible in the midst of nothingness. It’s quite a great feeling, and the meaning behind it is even better! If you find a Bible in your dream, it means you have plenty of confidence in yourself and should keep up with these confidence levels. However, it may also be a sign that you need to focus a little bit more of your confidence on God. Take a look at yourself and understand whether or not you need some more faith in Jesus, as this may be a big sign. If in your dream you notice yourself carrying a Bible underneath your arm, it may be a sign that you are going through some major struggles right now but you are going to come through stronger than ever. By carrying or holding the Bible, you are carrying the faith and security needed to conquer the storm. However, if you feel like your lacking confidence in God that he will see you through the struggles, this may be a sign that you need to reconnect with God and allow him to help you more throughout your battles in life. Dreaming of a particular scripture in the Bible is probably one of the most exciting things to happen. It is as if God has entered your mind while you’re dreaming and has spoken to you directly. Think about the verse that was read in your dream. Whatever it says, you need to take it to heart. 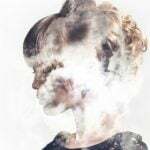 It may be suggesting that you need to forgive someone for what they have done to you, or that you need to change your life in one way or another. The verse that was chosen for you in your dream needs to be applied to your life. It can help you in a wide range of problems, from struggling financially, struggling emotionally, or whatever else you may be struggling with. These verses don’t always have to be about change, though. Sometimes a Bible verse can be given to you in a dream to show you that God cares about you, or that you were made in His image and should be happy with yourself. These little pick-me-ups may be just exactly what you needed to goon with your day. The only way to truly know what the Biblical scripture meant in your dream is to remember what the verse itself was. Then, you can dissect the verse to find out what the meaning behind it is. Lucky for us, verses tend to have a very obvious meaning behind them, so knowing why the verse was given to you will be easily known. 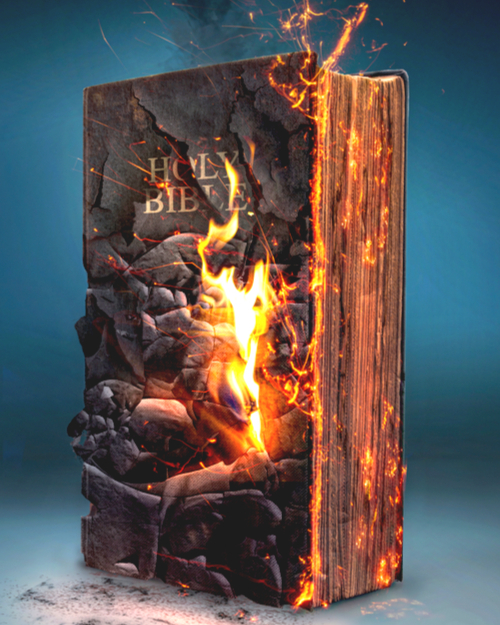 A dream in which a Bible is burning can be extremely unsettling, especially for Christians or anyone who knows the scripture in which burning the Bible is a horrendous sin. That being said, seeing this with your own two eyes may be one of the most frightening things you can witness, and you may feel like God has betrayed you in some way. However, unlike what you may think, a burning Bible in a dream has nothing to do with sinning or betrayal. A burning Bible in a dream is simply means that are going through a really difficult time and may not be able to see the right path or a way out. If you have a dream like this, you need to figure out the right path to take to get out of the situations you are in. It’s a sign from God himself to relax and find your way out of the storm. Handing out Bibles in your dream? This is an interesting one. For this particular Bible dream, it’s a sign that you’re in one particular situation that you just can’t seem to find your way out of. It’s a situation in which you can’t see the end and don’t know where to go, but you will find the right path to take. This may sound very similar to the burning Bible dream interpretation, but it’s slightly different in the fact that in this instance there is a single struggle that needs to be dealt with, while the burning Bible dream represents a humungous storm in which there are plenty of struggles with seemingly no end in sight. Dreaming about the Bible is almost always a good thing. It may mean you have confidence, need confidence and guidance, or simply need to recall things in your life and make changes or improvements. Take a good look at your dream from start to end and you will be able to discover exactly what God is telling you. 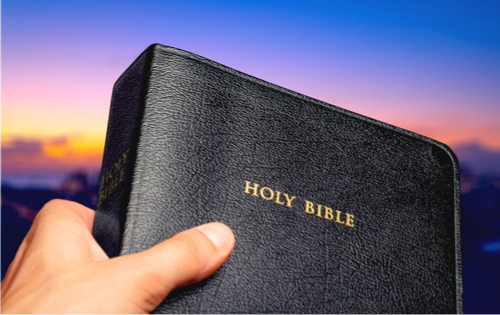 Have you ever had a dream about the Bible? 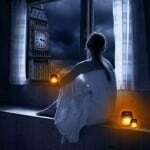 What happened in your dream? Did you discover what the dream actually meant? Share all of your Bible dreams with us below.